This home has 2 master suites, each with their own giant jetted tub and a hot tub on the huge side porch under the stars. 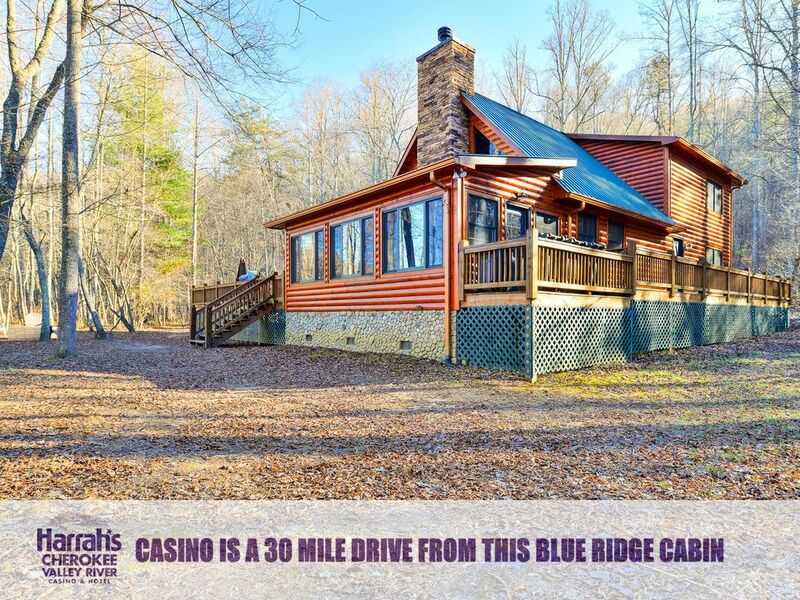 The home sits on 5 acres and has over 600' of creek frontage, a vast flat yard for playing and a fire pit with awesome adirondack chairs for seating. All of this with total privacy and seclusion and plenty of parking for up to 10 vehicles. For families with small children, the home is kid friendly too. It has a play ground outside and some much needed equipment including a highchair and baby gates. Washer and dryer for your convenience. The kitchen is well stocked to cook for and feed 12 guests. The sunroom has a TV for hanging out and watching sports or movies. Both master bedrooms and the rec room upstairs have TV's also. Please note that the road to our home is gravel, and there is one 70 yard long hill that can be bumpy. Four wheel drive is not necessary, but you probably do not want to bring a low riding vehicle. It is difficult to find a home on this much acreage with this privacy. Also, it is unique because it has such a big flat yard for hanging out by the creek, playing horseshoes or football etc. It hosts a big crowd of 12 guests without feeling crowded at all. We built this home ourselves in 2006 with vacation renters in mind. We think that the two master suites and the large capacity make it a great choice for two families to vacation together or for family gatherings. There is a regular coffeemaker (basket style filters required) and a Keurig. Easily enough to seat 12 people. Completely stocked with all pots, pans, utensils. Everything you'd need to cook a Thanksgiving Dinner. There is a regular coffeemaker (basket style filters required) and a Keurig.